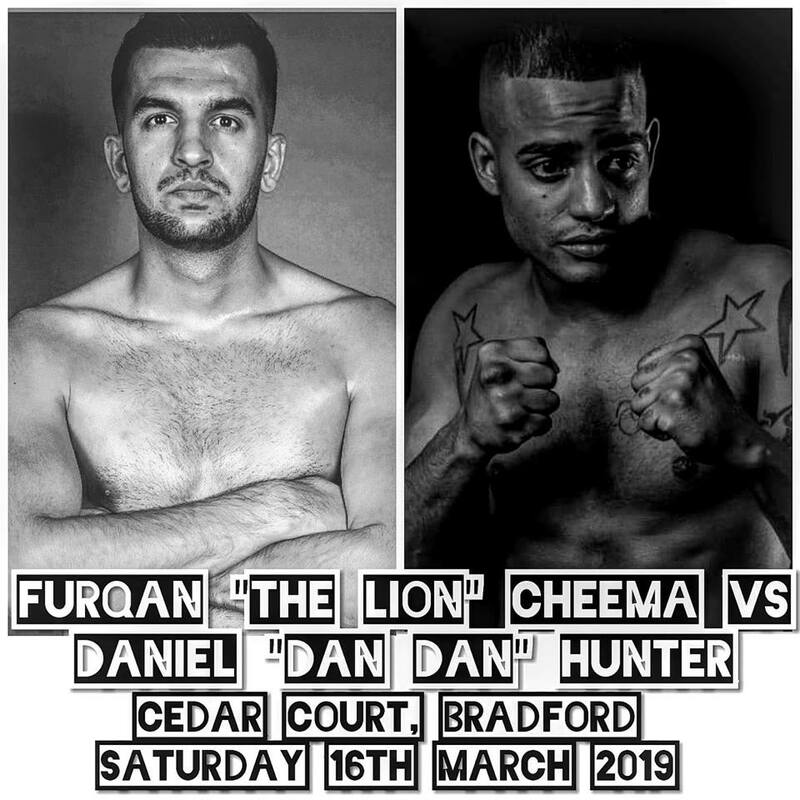 Pakistani boxer and mixed martial artist Furqan “The Lion” Cheema, 28, will make his professional MMA debut at “Combat Challenge 23.” It will take place at the Cedar Court Hotel in Bradford, Yorkshire, England on March 16, 2019. At “Combat Challenge 23,” Cheema will face Daniel “DanDan” Hunter of the United Kingdom in the welterweight division. The latter is a former bare knuckle and boxing titleholder. As an amateur MMA fighter, Cheema has 9 wins and 1 loss. As a boxer, he has 2 wins and 0 loss. Aside from having bare-knuckle expertise, Hunter is also a good boxer so one could expect some good boxing in the fight but it may fall into a quick finish or a long standing trade, according to Cheema. The latter has no doubt that there will be fireworks. Hailing from Rawalpindi, Pakistan, Cheema comes from a family of fighters. The family owns a professional and amateur boxing gym called Khalid Bin Waleed (KBW), which has produced many champions and is located in Dewsbury, Kirklees, West Yorkshire, England. “This is just start of a journey, InshAllah,” Cheema added. He also thanked his coaches for helping him prepare, namely professional and amateur boxing coach Tanny Hussain of KBW, black belt kickboxer Jay Hanson of Team Hanson and Brazilian Jiu-Jitsu black belt Jamie Paxman of Gracie Barra.